A tropical island is the ideal choice for many vacationers. Here are our top picks for 2019! 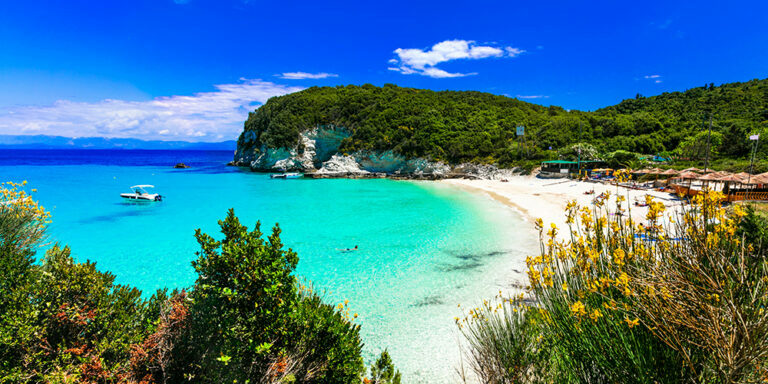 Greece includes 6,000 islands and islets scattered across the Aegean and Ionian seas. Only 227 are inhabited. Ideal climate and accessibility make them extremely popular. Enjoy scuba diving, sailing, windsurfing and snorkeling. Many islands also boast unique archeological sites. The youngest and largest island in the Hawaiian chain, it’s nearly twice the size of all the others combined. Cool factor: here you can travel through all but four of the world’s different climate zones. Delicious coffee, shopping, renowned golf, active volcanoes and dramatic features are just a few lures. Saint Lucia is the perfect backdrop for the adventure of a lifetime or a casual getaway. Adventure seekers can climb Gros Piton mountains, horseback ride the coast or zip above the rainforest canopy. Duck your head under a refreshing waterfall or simply float in some of the world’s clearest waters. An island with a wild beauty, Capri offers a jagged coast, enormous boulders and numerous caves, the most famous of which is the Grotta Azzurra or Blue Grotto. Beyond the culture and sea, Capri offers good shopping and exuberantly-flavored local eats. Most people are familiar with Freeport and Nassau, but the Bahamas are comprised of over 700 islands. The 120-mile long chain of islands known as the Abacos is a boating and sailing paradise. For ultra-exclusive resorts and almost footprint free beaches, the Exumas offer a laid-back escape and swimming pigs. For more information on these or other great islands, contact your local AAA Travel Agent. Call 800-398-0379 today!